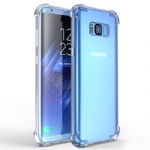 Dual Layer Defense TPU+PC: Flexible TPU interior for shock absorption & polycarbonate removable hard exterior back in military Grade for tough drops, scratches and bumps. 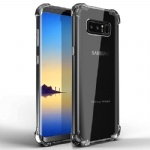 Maximum Protection: Raised lips lift camera and front display screen off the flat surface when drop down; Extra soft bumper at 4 corners for drop cushion. 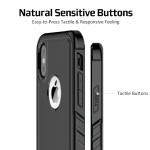 Precise Cutout: Easy access to all buttons and ports with precise cutouts; Reinforced buttons ensure prompt responsiveness. 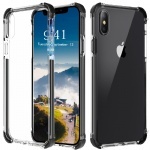 Incredibly Slim: Unlike other bulky protective cases, Comsoon iPhone X case has a sturdy profile but engineered to be thin, sleek and lightweight, comfortable to hold by hand or in your pocket.